At the Center for Geospatial Analytics, you'll grow to recognize processes and patterns in spatial data. By the time you leave, you'll be ready to solve real-world challenges and further an advancing field. Choose from select programs and courses available online. We’re preparing the next generation of interdisciplinary data scientists. Here, students learn to interpret location-based data and propose solutions to pressing societal problems. Classes and hands-on training combine foundational geographic theory with cutting-edge data modeling and visualization technologies. 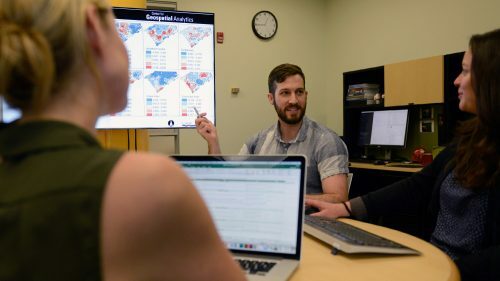 Our students gain the knowledge and skills to inform government policy, guide industry expansion and extend the global applications of spatial data. Our robust and evolving course offerings are led by world-renowned leaders at the forefront of this exciting domain. Distinguished faculty members spanning eight colleges and 20 diverse departments provide mentorship and direct the center’s multifaceted, experiential programs. We offer a wide range of courses for students at all levels of study. 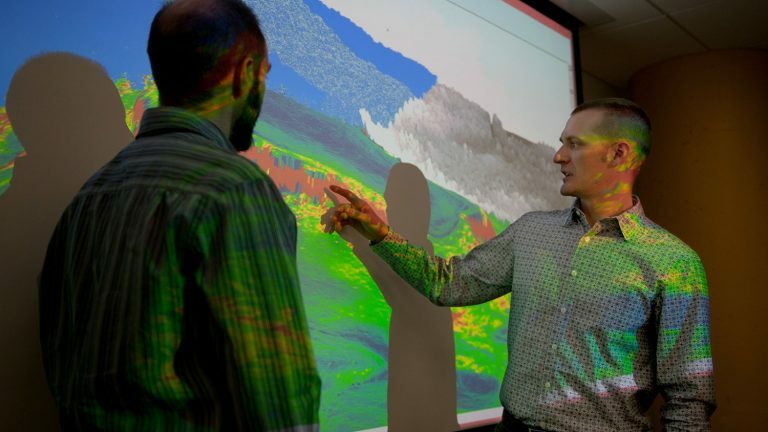 Graduate students can pursue a doctoral degree in geospatial analytics, a professional science master’s degree, a certificate in geographic information systems or one of two graduate minors. 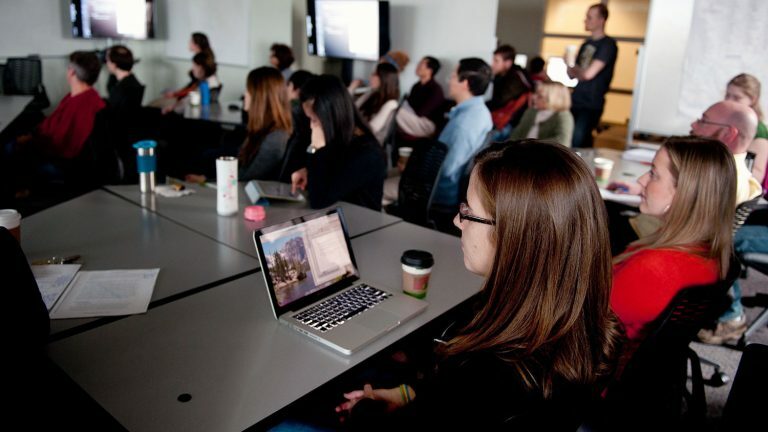 Undergraduate students can take introductory courses to ground themselves in the field. Two graduate programs and select graduate and undergraduate courses can also be completed online. 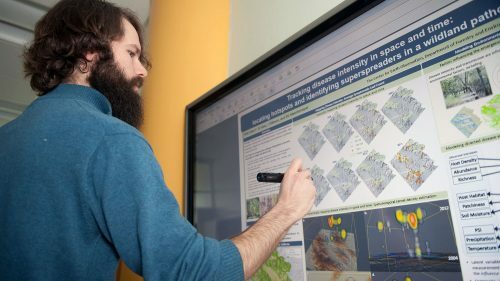 The first of its kind, this interdisciplinary program pairs integrative thinking with experiential learning to equip data scientists with a novel understanding of spatial phenomena. Refined technical training and hands-on experience with partners in government and industry will prepare you to develop sustainable solutions for complex environmental and social challenges. 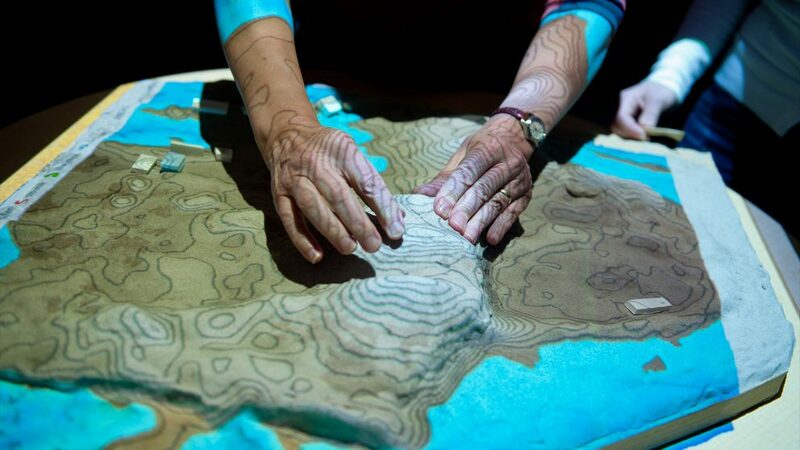 Interdisciplinary theory, hands-on application and client-based instruction equip graduates to contribute advanced geospatial guidance to local, state, national and international organizations. 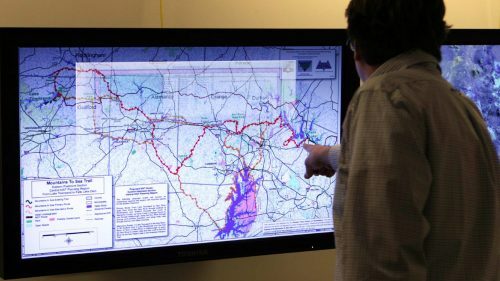 This graduate-level academic credential is for students seeking to establish themselves in geographic information system practice or enhance their current skill set. Students looking to enhance their major program of study can pursue a graduate minor in either geographic information systems or environmental remote sensing. 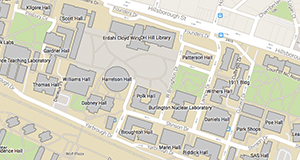 Along with classes in geospatial analytics, geographic information science and geospatial science applications, we offer revolving courses on experimental topics. 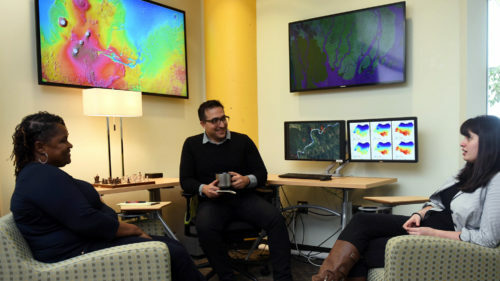 The Center for Geospatial Analytics provides support for students starting with the application process and continuing beyond graduation. Guidance is available from an advisor or online for topics including enrollment, registration, degree requirements, the individualized plan of work, graduation deadlines, career resources and more. 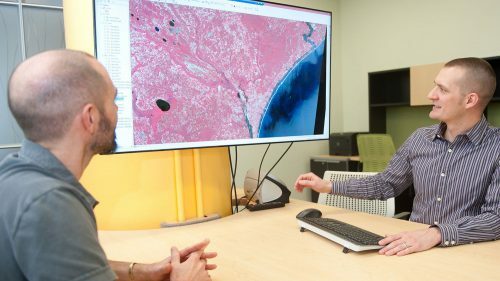 Meet the interdisciplinary faculty, scholars and students using spatial data to interpret and address complex global issues. See how you’ll use innovative tools and the application of location-based data to inform critical decision-making. 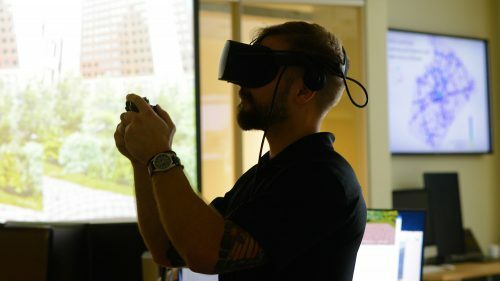 Discover how our team of experts leverage service learning and unique skill sets to advance collaborative partnerships.